Dental implants are ideal for patients of all ages who are missing one more teeth or have had a tooth extraction due to injury, infection or decay. Dental implants are like artificial tooth roots that are fused to your jawbone to support artificial teeth and provide a natural, comfortable and functional smile. 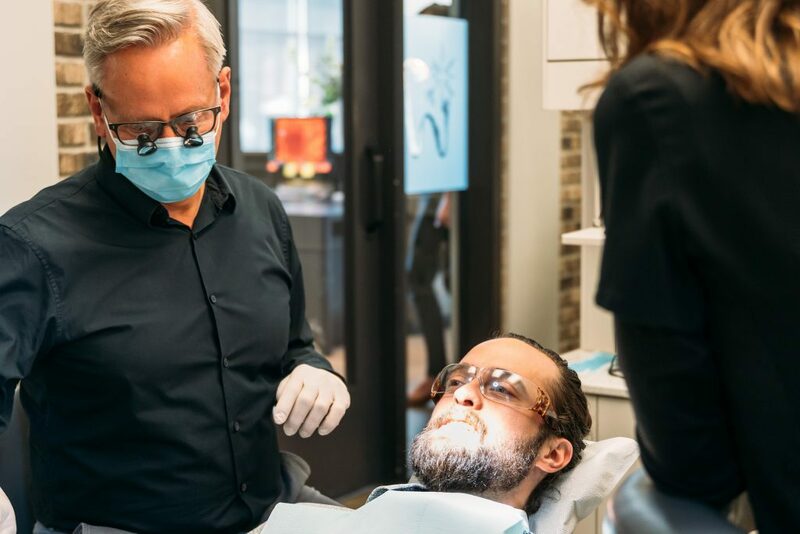 At New Look Dental in West Kelowna, we can restore current dental implants or place the crown on after you’ve had a specialist place the implant. 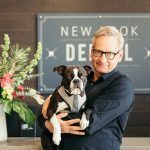 Dr. Kevin Andersen and the New Look Dental team will take time to understand your dental needs and work with you find the restorative dentistry treatment that best fits your needs. Are you wondering if you need dental implants? Keep reading to find out if you’re a candidate. West Kelowna Patients: Do You Need Dental Implants? Patients who are missing one or more teeth may be candidates for dental implants. Patients commonly undergo implant dental surgery to replace teeth which have been removed for various reasons, including they have rotted away or they were broken in an accident. Missing teeth affect how you speak and chew. A dental implant is an ideal solution to help improve these abilities. Dental implants are an ideal permanent alternative to removable dentures. Your dental implant will act as an artificial tooth root to hold a replacement tooth or bridge. Dental implants are designed to provide you with a natural looking and functioning smile. Dental implants offer patients a variety of advantages including functional and comfortable teeth that look and feel like natural teeth. They’re incredibly durable, which means with proper care they can last for several decades. If you have spaces in your mouth due to missing teeth, you are more susceptible to health issues such as jawbone deterioration. Dental implants offer superior protection as they actually help stimulate bone growth and prevent bone loss. If you require a dental implant, we can refer you to a dental specialist to place the implant. Once the implant has been placed, we will place the crown or bridge. 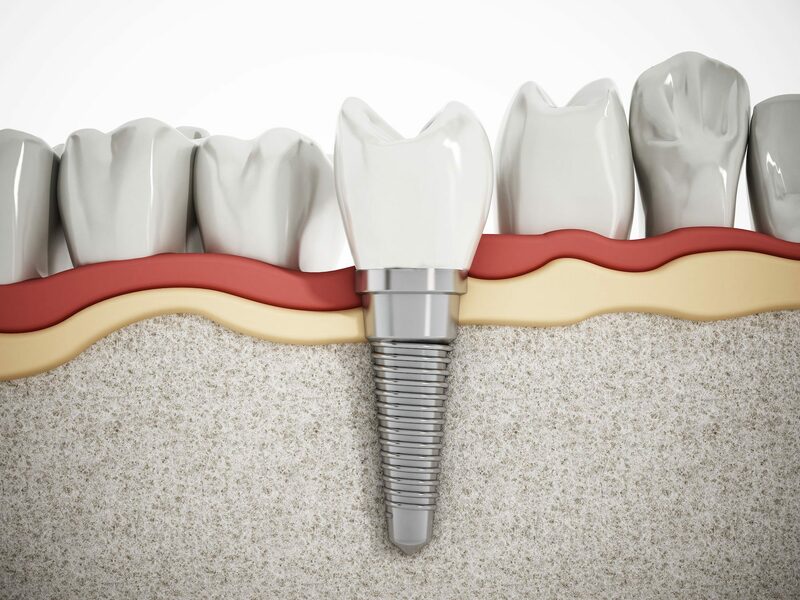 For West Kelowna patients who currently have a dental implant, our team at New Look Dental can restore your current dental implants or place the crown on after you’ve had a specialist place the implant. Patients who are looking to fix or replace missing or damaged teeth will benefit from restorative procedures designed to restore the overall structure, functionality and beauty of your smile. Your teeth play a vital role in your general health. Your mouth is susceptible to inviting all sorts of bacteria and foreign substances into your body. Healthy teeth with strong enamel prevent bacteria from entering your body and potentially leading to more serious issues or infections. Teeth that are decayed, cracked, or otherwise damaged are far more vulnerable to bacteria. Dental implants are placed in the jawbone; the artificial replacement teeth attached to implants look and function much like natural teeth. Regular dental checkups at your West Kelowna dental clinic are important. During your regular checkup appointments, we will ensure that your bite is right and that your implants are not loose. Practicing good oral hygiene at home and visiting your dentist on a regular basis will provide you with excellent oral health and self-confidence. If you’re looking to have your dental implant restored, contact your West Kelowna dentist at New Look Dental to ensure your teeth remain healthy and your smile looking great. Speak to your West Kelowna dentist at New Look Dental today to learn more about dental implants and how they can transform your smile. Next PostNext Top Reasons to Use Your Dental Benefits Before the Year is Up!